 Customer Service Training Australia provides fun and interactive conference presentations for your entire management & staff. Our tailored conference presentations are great for team building and are available as a keynote presentation or for breakout groups for your conference. Available throughout Australia, New Zealand and Asia. Our conference presentations are never done using boring lecture style formats. Groups as they use their newly acquired skills to solve real work place issues involving external and internal customers. Always fun and fast moving our conference presentations are often used to promote a new theme or mantra for your team often at the start of a new project. Available in a variety of formats and times from 1 hour keynote style to fully interactive half day, one day and two day formats. Covers telephone and email etiquette together with call handling and client interaction tips. Learn professional skills for transferring calls and providing exemplary customer service for your firm’s clients. Specifically designed to empower your staff when dealing with a range of difficult, overbearing and obnoxious customers. Learn as we discuss real workplace situations and scenarios. This extremely popular course is a great way to ensure your entire staff have a full appreciation of your company’s administration skills. Fully interactive and fun this is also great for team building. Retails face a plethora of issues when dealing with ever increasing customer demands. Allow us to show your team interactive retail skills for a variety of situations. Let us teach your team members to become more confident and assertive when dealing with customers and staff. We provide easy to follow techniques for a variety of situations. Warehouse supply chain and distribution staff are often overlooked when it comes to professional customer service training. We will teach your team members the importance of their role and demonstrate the impact their efficiency has on the entire organisation. The ability to control your work flow is vital as it impacts directly on your fellow staff and the entire organisation. Learn how to organise your day with maximum efficiency and greater stress reduction. This engaging program is suitable for staff and management alike. please call your nearest Customer Service Training Australia office or make an enquiry.